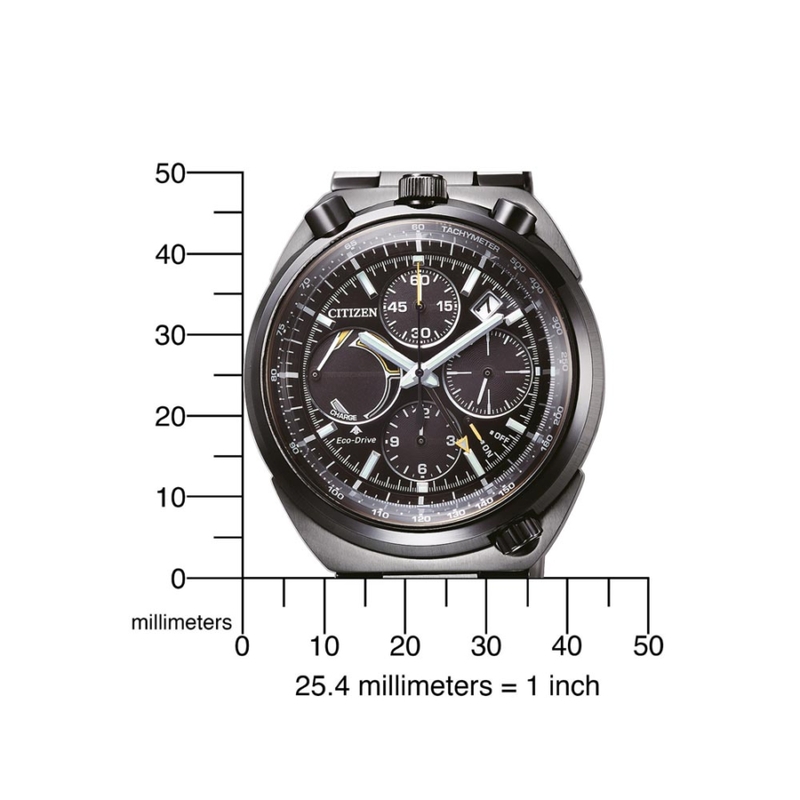 The PROMASTER LAND Eco-Drive Flyback Chronograph AV0077-82E has history. 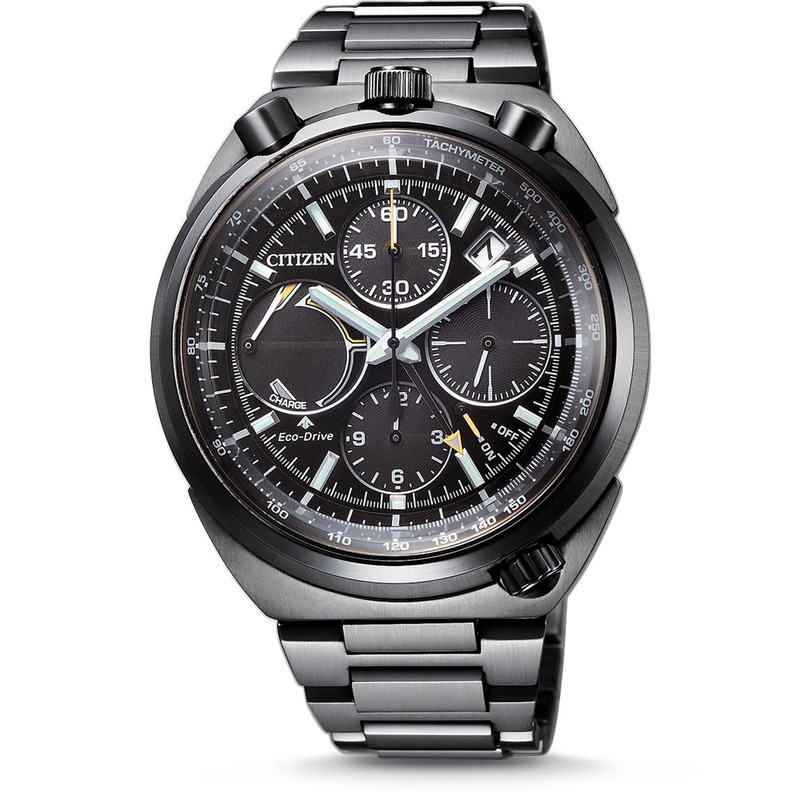 It was inspired by the chronographs with the Caliber 8110A which were manufactured by CITIZEN between 1972 and 1981. 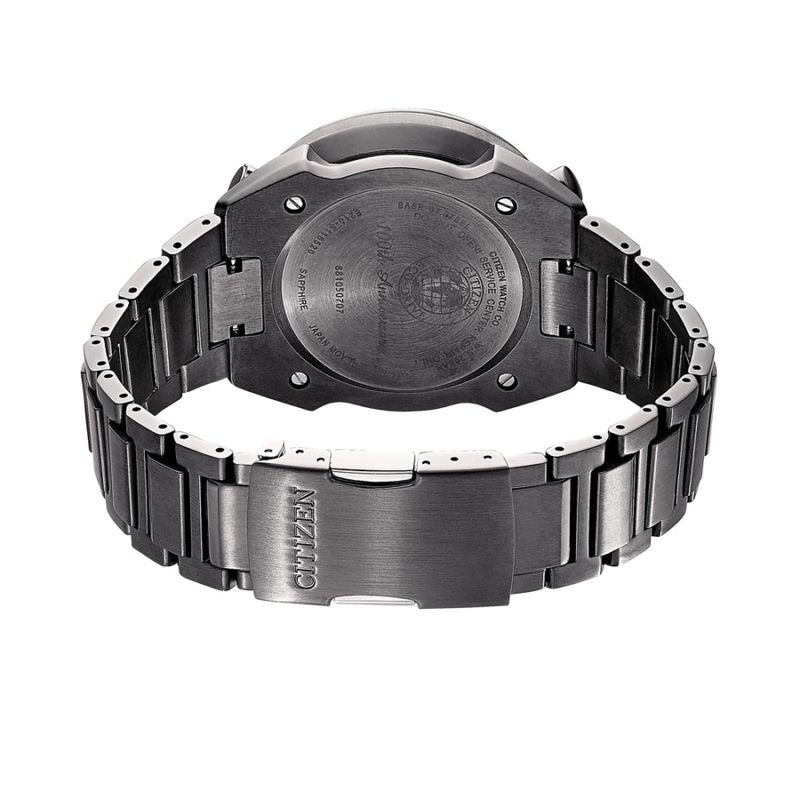 With its distinctive pushers on the top, these watches owed the nickname “Bull Head”. The Caliber 8110A was for the 70s almost packed with technical refinements, such as the 12 hour chronograph with automatic winding and flyback. Today’s AV0077-82E is equipped with the Caliber E2100. 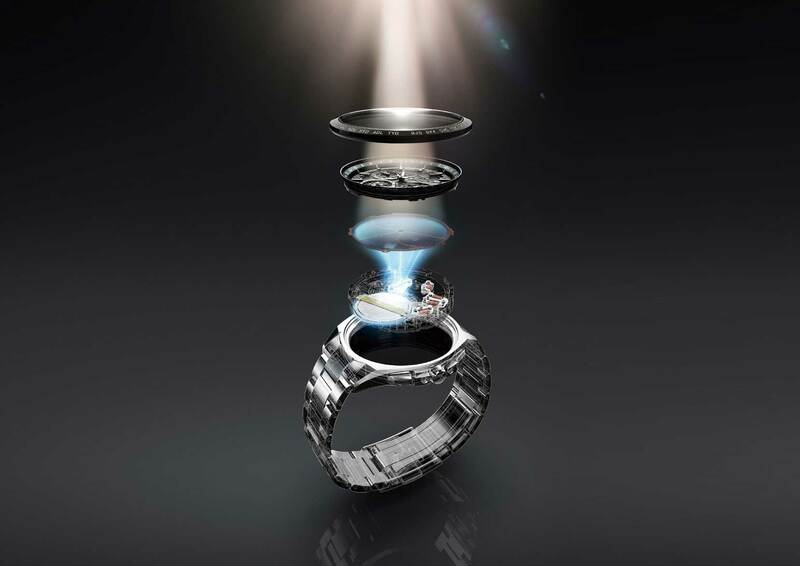 The special feature of this Eco-Drive Caliber is the high number of components used in the Caliber E2100. Altogether there are 294 single parts (see picture in the gallery). 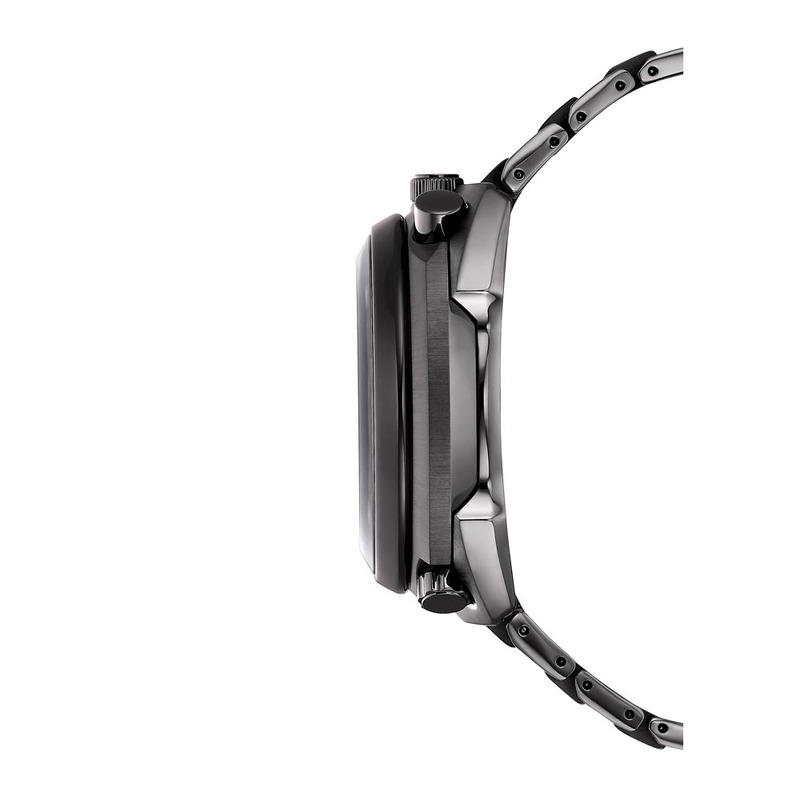 A further special feature are the mechanical and locking pushers of the chronograph. 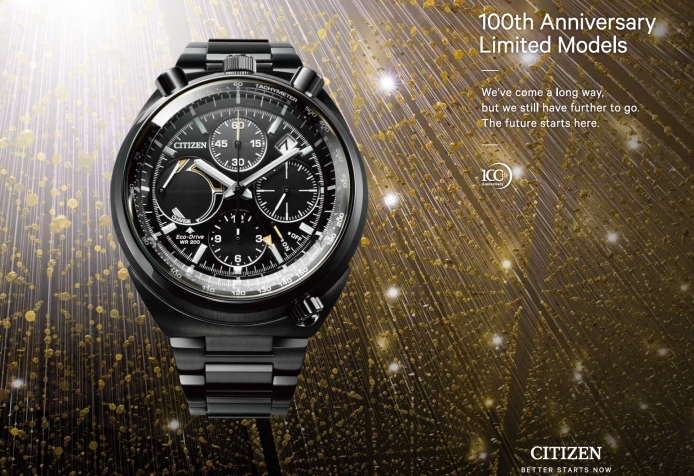 The AV0077-82E has the 100th anniversary logo on the back and is limited to 3,000 pieces worldwide. The watch is very nice. Unfortunately it’s impossible to find its user manual. The Italian web site has a wrong link.